Chaos Created is proud to announce the immediate availability of Langeroo to the UK market. Langeroo is an online subscription based software package aimed at teaching English to EAL students, in Primary schools, in the UK. Initially conceived to help teach English as a second language in foreign markets (specifically China and Hong Kong initially), there was such a positive response here that we’ve made Langeroo available as an online subscription to the UK market, perfect for teaching English to pupils moving to the UK, or alongside the UK National Curriculum. 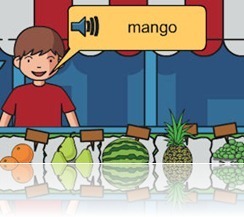 The software package works within the National Curriculum (details here: http://www.langeroo.com/?page_id=17) to provide a fun, and innovative way to teach English as a second language. We’re at the BETT 2011 show all week, and we’re interested in meeting with potential distributors abroad. All the information about the product launch can be found on our Langeroo web site at http://www.langeroo.com. If you’d like to come meet with us, at BETT, then please drop us a line. Langeroo Adventures launches Worldwide on Windows, iOS, Android, and Kindle Fire!